The day after the 2017 Fresh Voices Awards, we stopped by Roundhouse Radio for another episode of ‘Sense of Place‘, hosted by Minelle Mahtani and produced by Abeer Yusuf. 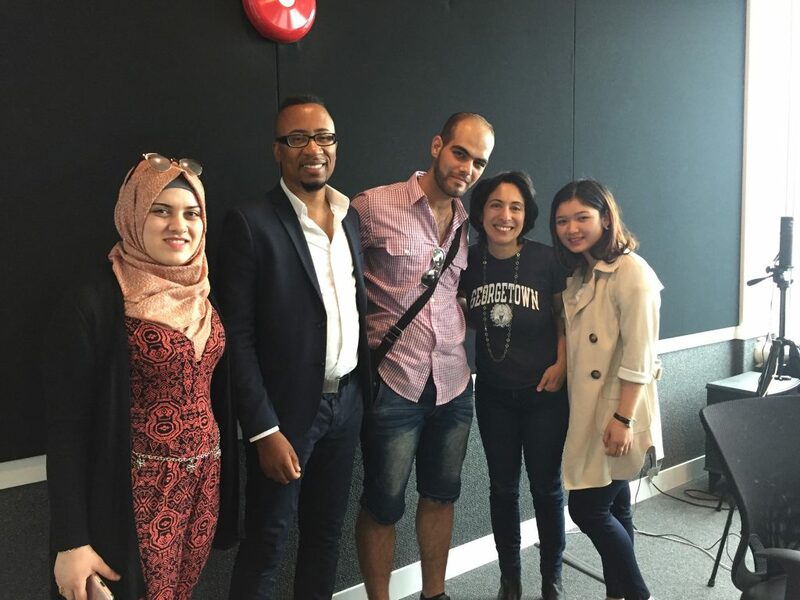 This edition featured Fresh Voices National Artivism winner Majd Al Zhouri, Michaëlle Jean Foundation’s Peter Flegel, and Fresh Voices Youth Advisory Team member Truepayna Moo. With the show occurring on World Refugee Day, it was a fitting opportunity to discuss the cathartic power storytelling has for newcomers dealing with trauma, as well as its effectiveness in disarming prejudice and educating the public about refugee experiences.